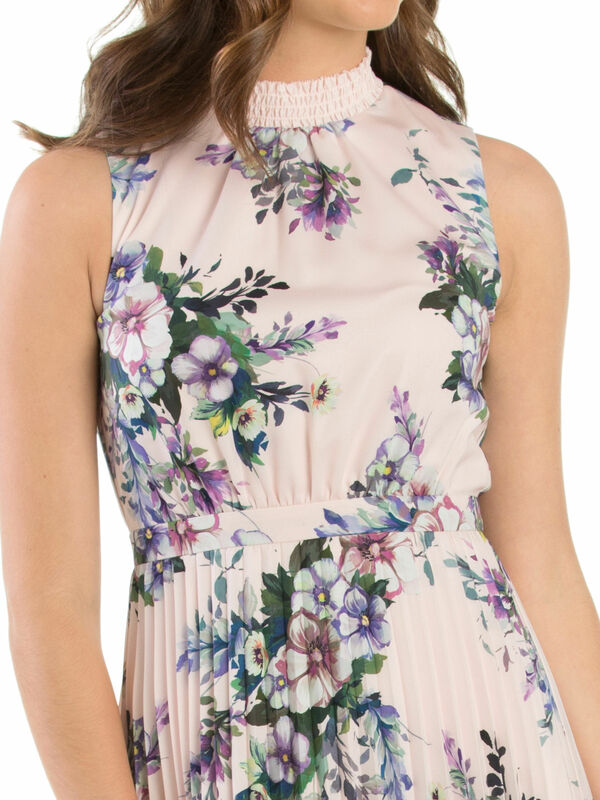 Shoot For The Stars Dress https://www.review-australia.com/au/shoot-for-the-stars-dress-blush/RE19DR355.RERED102.html A flawless example of both classic summer prints and modern design, this Shoot For The Stars Dress is definitely one to watch out for. The high neckline with elasticated detail balances out the flowing pleated skirt for a contemporary yet womanly look. Designed with both keyhole button closure and a concealed zipper. A flawless example of both classic summer prints and modern design, this Shoot For The Stars Dress is definitely one to watch out for. The high neckline with elasticated detail balances out the flowing pleated skirt for a contemporary yet womanly look. Designed with both keyhole button closure and a concealed zipper. Shoot For The Stars Dress is rated 5.0 out of 5 by 22. Rated 5 out of 5 by Amber86 from Pretty in pink Bought this last minute for a wedding after I decided the dress I was going to wear wasn’t really the one. This was perfect for the occasion, has a really nice fitting and is a gorgeous colour. Got a number of compliments too! Rated 4 out of 5 by Holly0913 from Light-weight, soft fabric with a modern summer fee I bought this dress on sale a month ago and I am very happy with it. The fabric is as light-weight and soft as silk, but it also travels extremely well - after being squeezed into my luggage for a few hours, I could wear the dress without any creases showing. 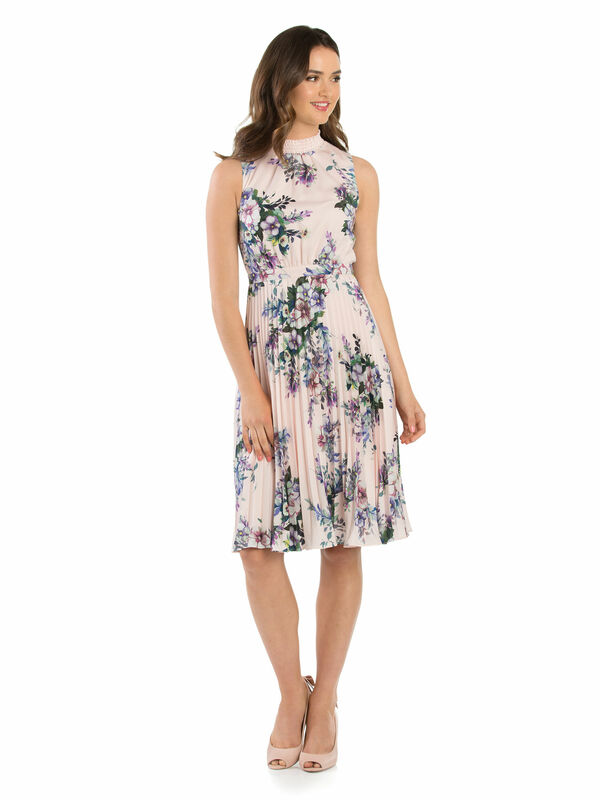 The summer print and modern design makes it perfect for a formal night or a garden wedding. Rated 5 out of 5 by Karenp101 from Stylish and so pretty I bought this dress a few weeks ago and it is one of my favourite Review dresses. The neckline is just so pretty and lies perfectly. The soft flowing pleated skirt goes so well with the colour and flowered print to make it very feminine. I just love this style and the length is just right. Rated 5 out of 5 by Crystal Brook from Stunning and very feminine I bought a 12, beautiful fit, especially for me as i dont have a big bust, the design of dress however would suit all shapes. The fall of the skirt is stunning and very feminine, covers all those odd shapes we try to hide. (Mummy tummy) I love this dress. Thank you.. Rated 5 out of 5 by Jazzygirl77 from Amazing colour combination! I saw this dress in MYER the day it was being unpacked and straight away it was on my list. The subtle pleats and high neck add a touch of 50’s glamour and the colour combination is just divine. I can’t wait to wear this in a few weeks to an upcoming wedding! Rated 5 out of 5 by Lmh020 from Gorgeous colours & so comfy! I absolutely love this dress and get so many compliments when I wear it. 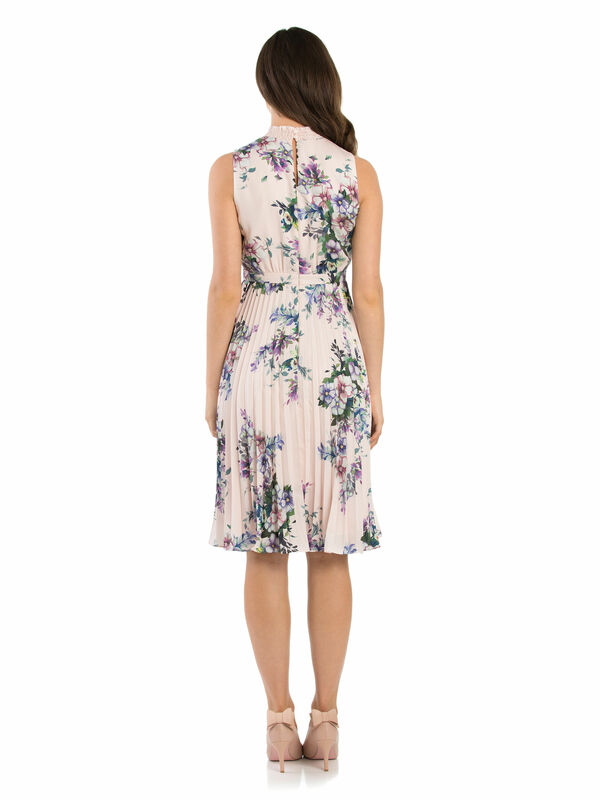 Gorgeous floral colours, so comfortable and lovely fabric - so happy with my purchase!